A lovely happy wednesday picture to share your love and care with your dear ones. 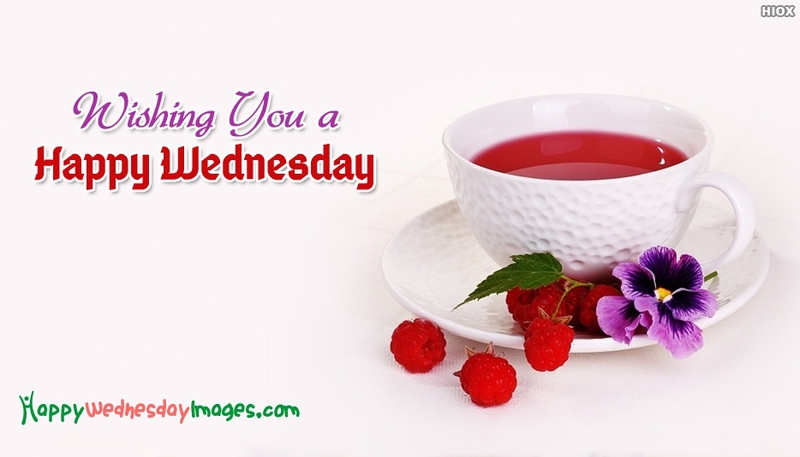 Say to your dear ones that you care for them and you think of them at this moment by sharing this lovely happy wednesday picture with the message "Wishing You A Happy Wednesday". The picture portrays a love image of a strawberry juice.